Living in Australia we are fortunate to be so close to one of the world’s eight natural wonders, the Great Barrier Reef. 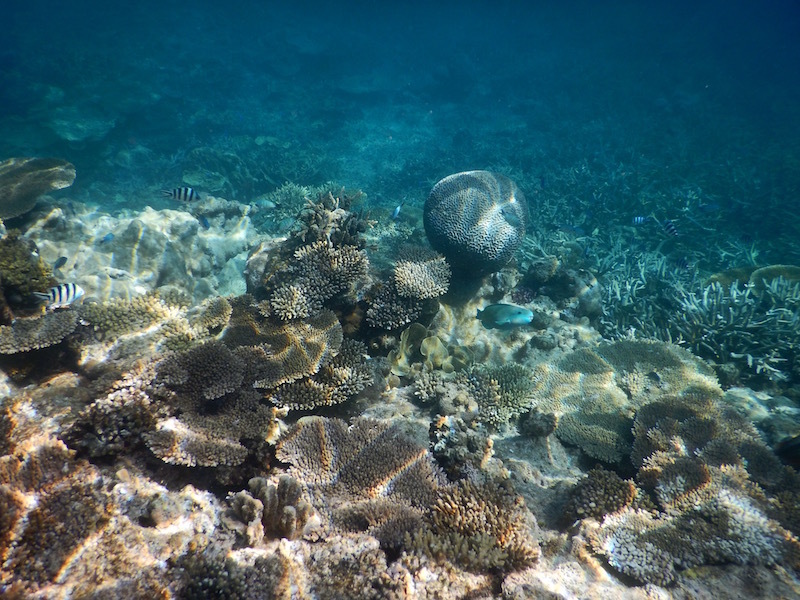 But because like many we travel more overseas that we do in our own country, it had been many years since our latest visit to the reef; fourteen years in my case. 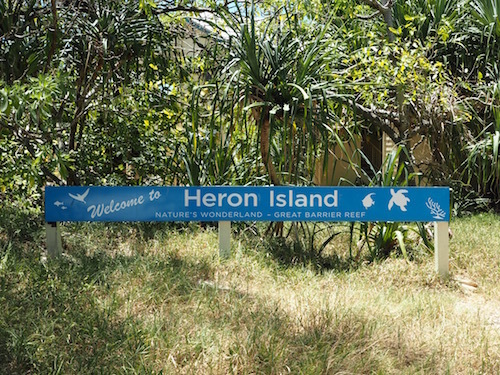 We were definitely overdue for another visit so we decided to spend four nights at the Heron Island Resort over the Melbourne cup weekend. 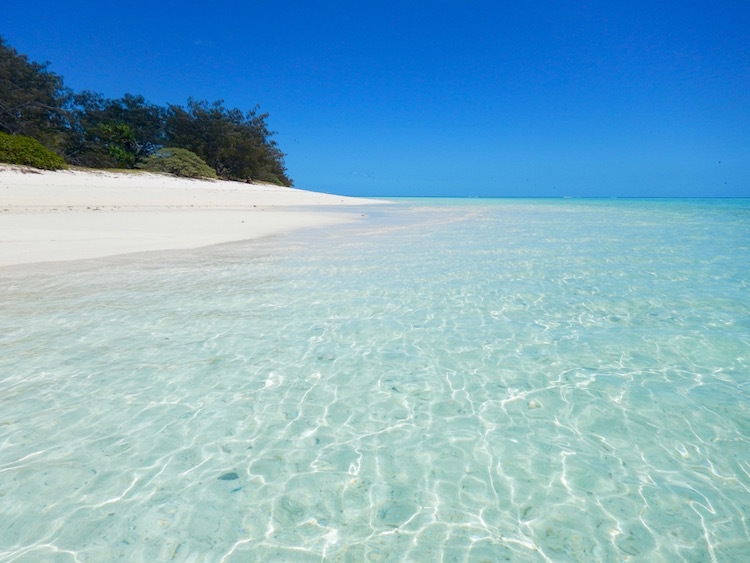 Heron Island is a coral cay located eighty kilometres off the coast of Gladstone, in the Southern Great Barrier Reef. Surrounded by twenty-four hectares of coral reef, it is famous for its fantastic scuba diving and snorkelling. 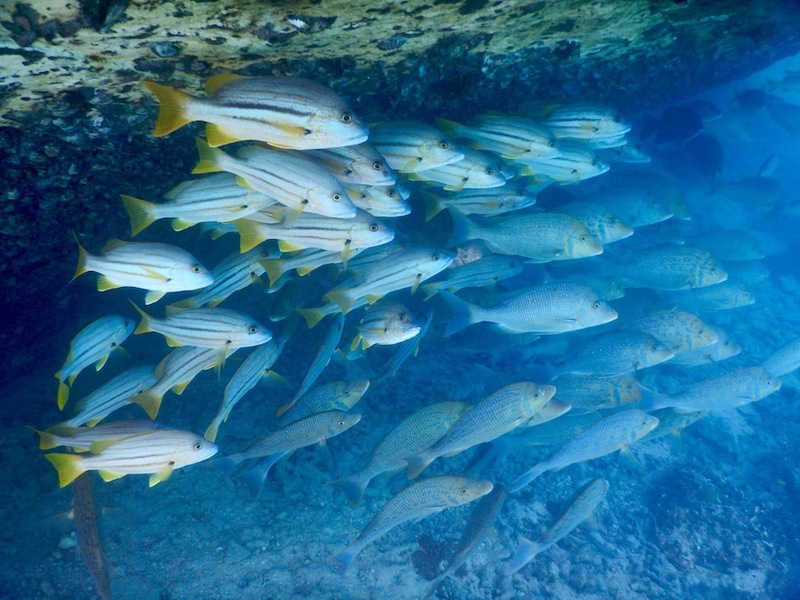 Being a World Heritage-Listed Marine National Park, all of its flora and fauna is protected. That makes it a nature lover’s paradise! 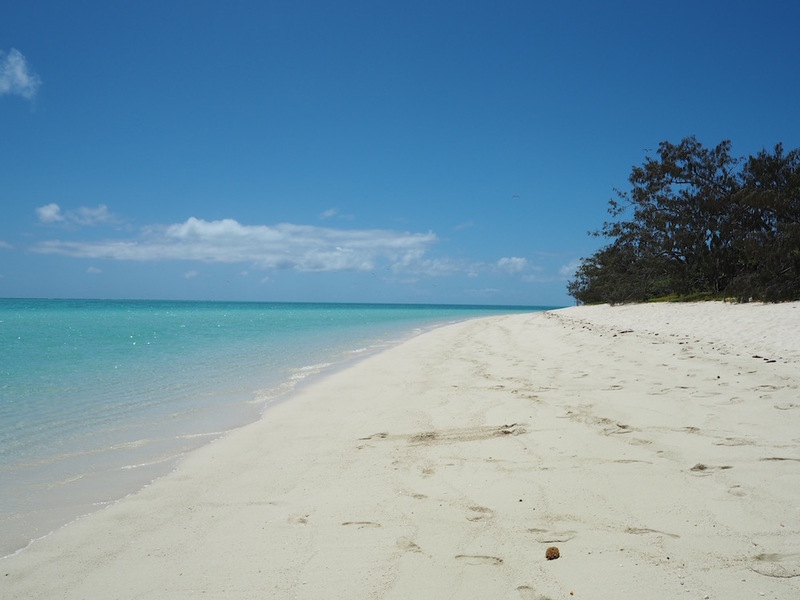 Heron island is the perfect spot if you just want to relax, unwind and get back to nature for a few days. The HMAS Protector shipwreck as you approach the island. 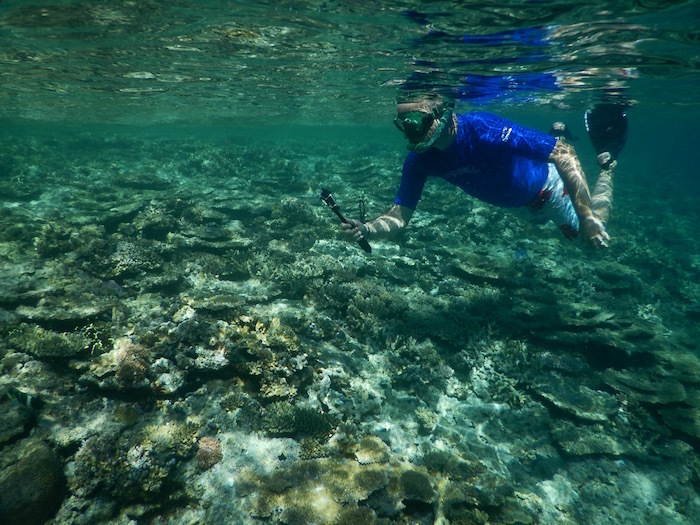 Unlike other islands on the Great Barrier Reef, you needn’t take a boat for two hours to get decent snorkelling. 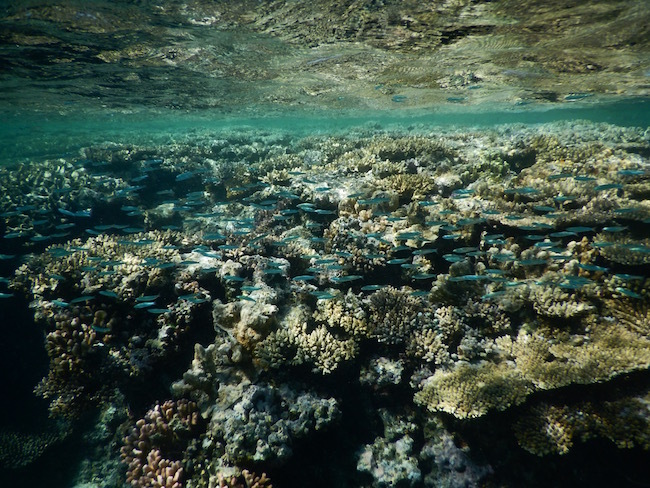 The island is located directly on the reef and you’ll see abundant sea life within minutes after you enter the water. 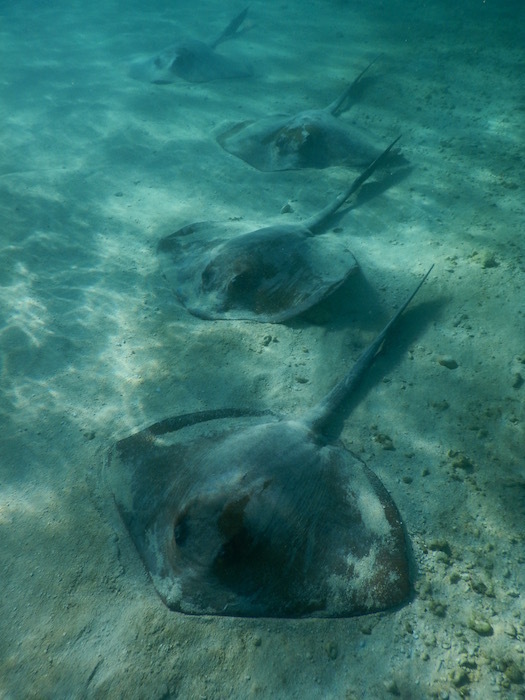 School of Stingrays lying on the sand in the shallow waters. 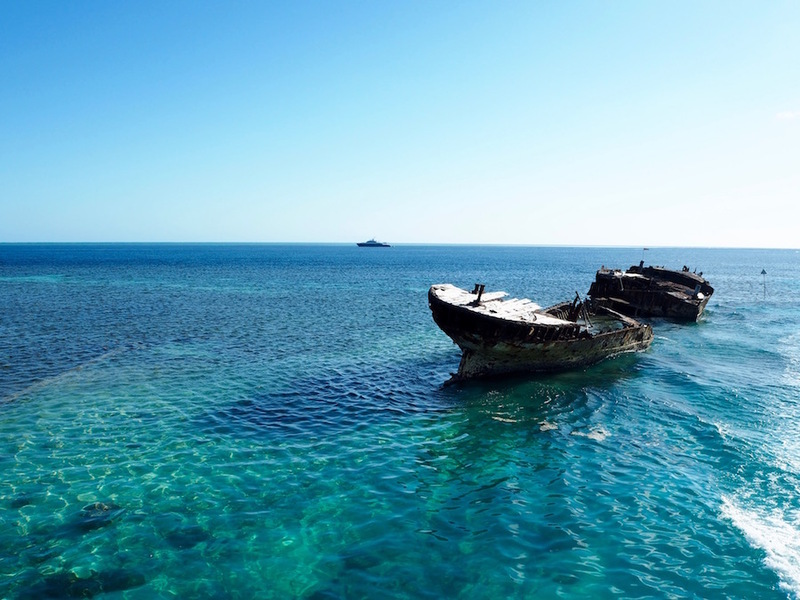 With twenty-one recognised dive sites within a few minutes from the jetty, Heron Island attracts lots of scuba divers. The resort organises three diving and snorkelling trips a day to various sites around the island; you are unlikely to get bored. Snorkelling at the Coral Canyons. If like us, you are not a diver but prefer snorkelling, you will probably do some of the best snorkelling in your life while on the Island. 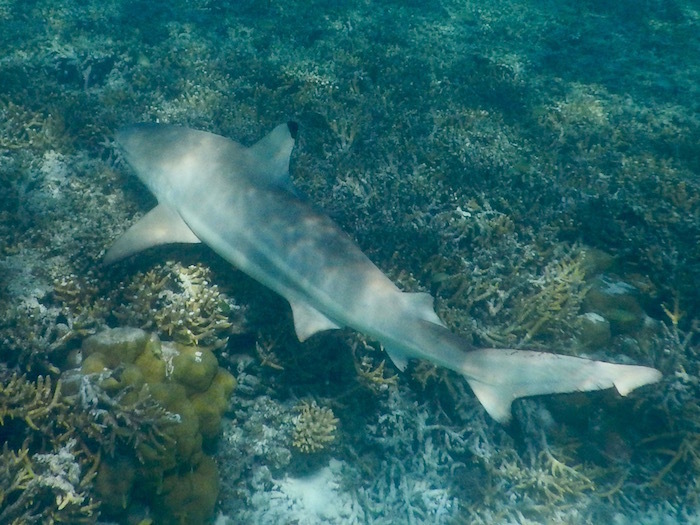 Turtles, reef sharks, stingrays, eagle rays, manta rays, schools of small or big fish, and other undersea wonders are a common site when snorkelling just off the beach. 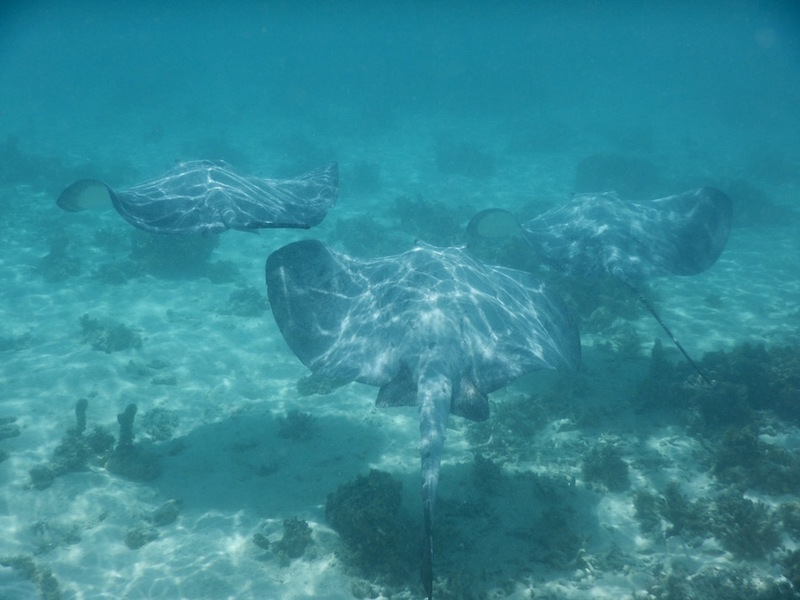 On our first swim just off the Jetty, we spotted a school of sting rays, a turtle, a reef shark, an eagle ray and plenty of colourful fish within the first fifteen minutes. I was amazed! 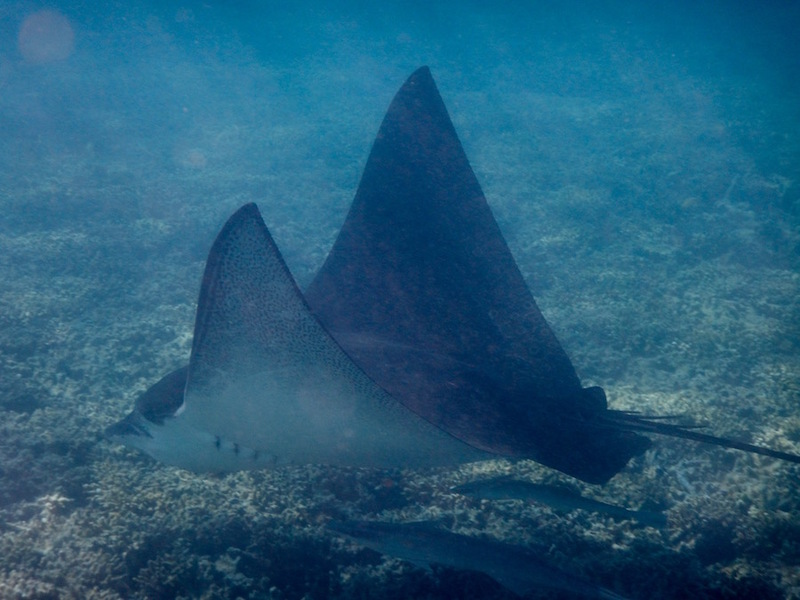 One of the many Eagle Rays we saw while snorkelling off the beach. A school of Stingrays swimming. 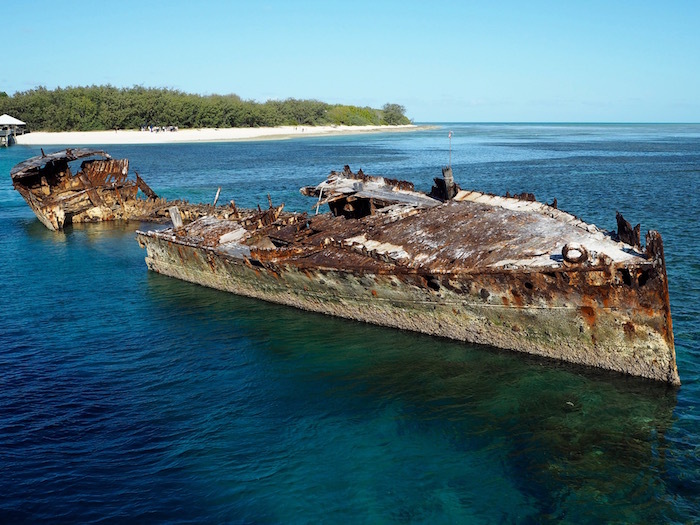 The HMAS Protector shipwreck just off the island offers some really great snorkelling. Get up early and swim around it’s rusting barnacle-covered shell at high tide for the best experience. School of fish by the wreck. 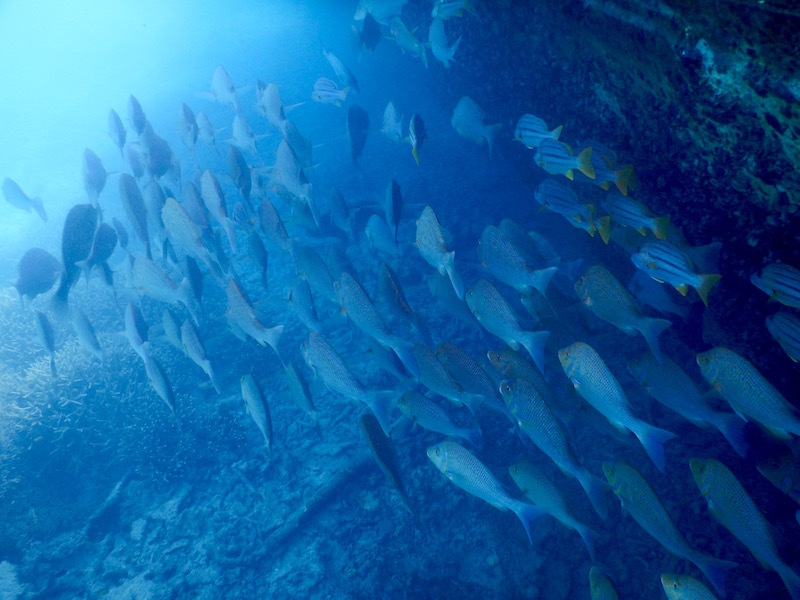 Many fish used to hang out by the wreck every morning! 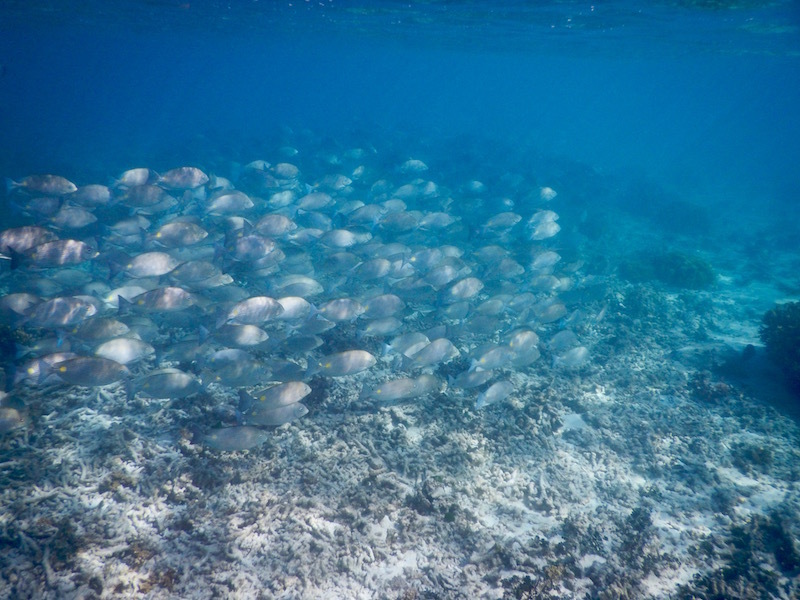 During November to April, Heron Island is a turtle breeding ground. 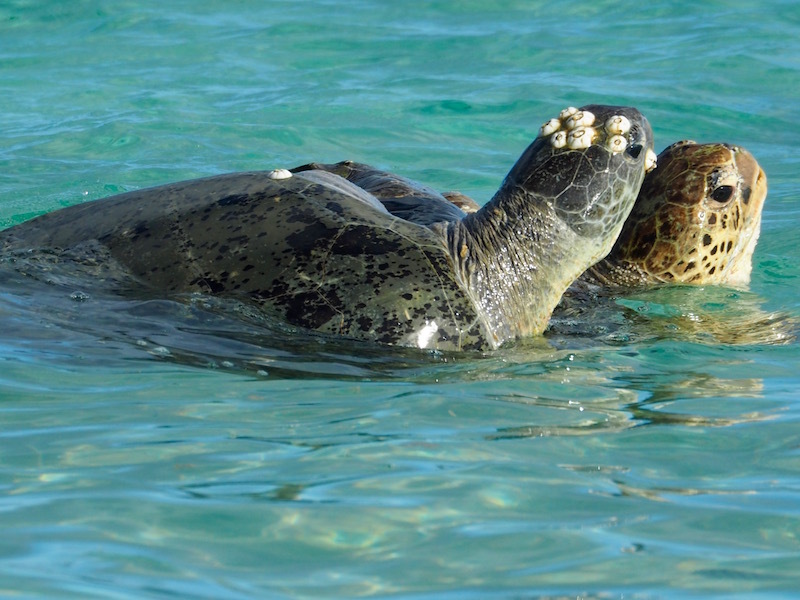 Many turtles come in to shore to nest and rest and you may spot them mating in the waters close to shore. Two turtles mating close to shore. 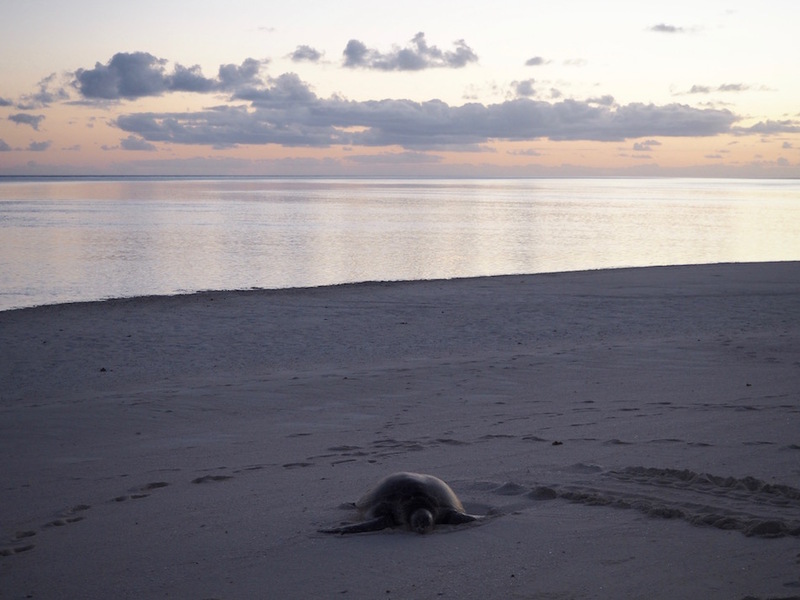 Heron Island is home to two turtle species, the Green Turtle and Loggerhead Turtle. 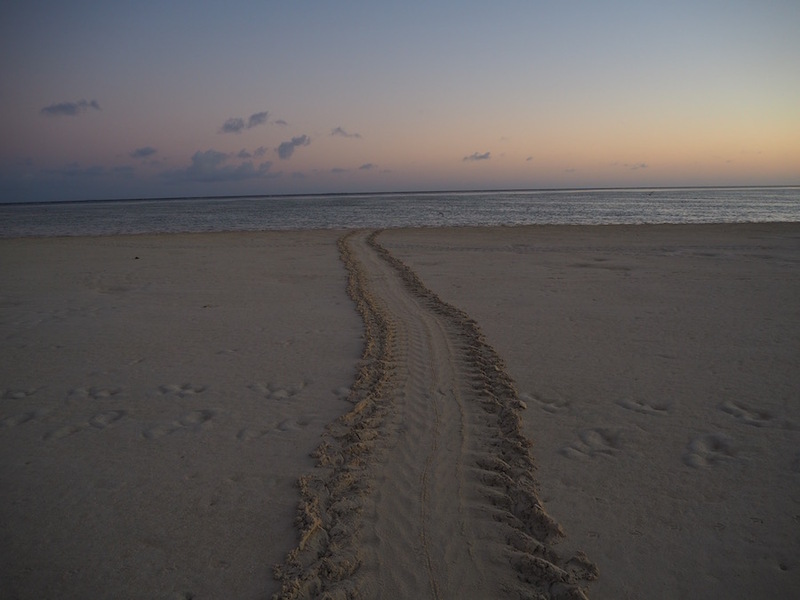 If you walk on the beach one or two hours after the evening’s high tide and then again around sunrise you will find many turtle tracks on the beach left by turtles coming to shore or heading back to sea. They are quite easy to frighten though; so if you come across one you should be very quiet and stay at least ten metres away to give them some space. The resort has put together some guidelines in order to protect the turtles and they will give those guidelines to you at check in. Please respect them! A turtle track on the beach. A turtle resting on the beach at sunrise. Hatching takes place from January to May so if you happen to be on the island at that time you will see many newly hatched baby turtles making their way down the beach to the water. 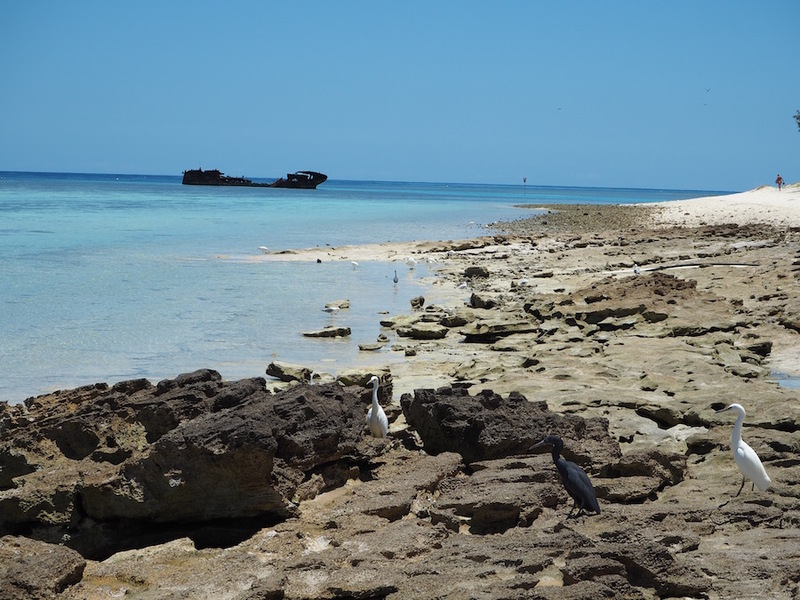 Heron island is a breeding and nesting sanctuary for an enormous variety of birds. 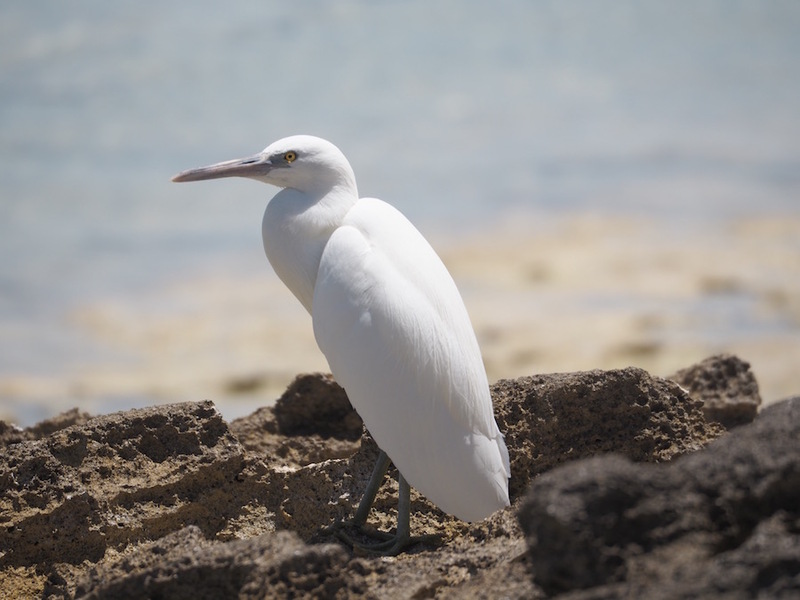 The Black Noddy Terns, Wedgetailed Shearwaters and Eastern Reef Heron are the most populated on the island and are everywhere. Bird-watchers will be in heaven! On the other hand, if you have a phobia of birds then this is definitely not the place for you. They will fly so close to you at times that they almost bump into you! 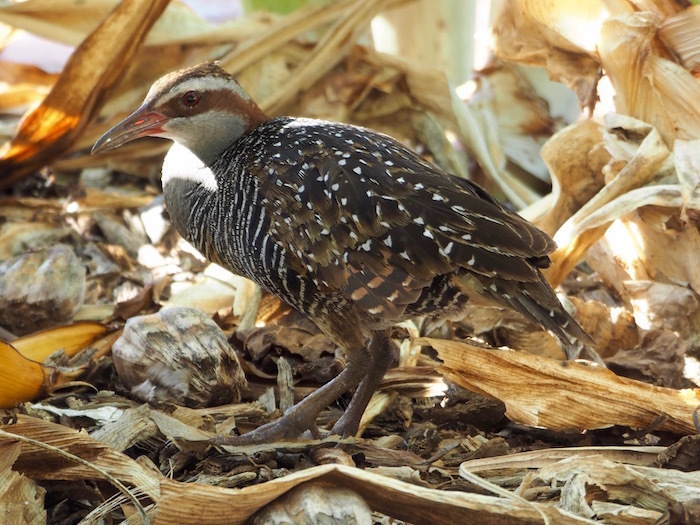 The resort runs a bird walk every day. If you can get away from the water, try and do one of those walks and learn about the birdlife on the island. 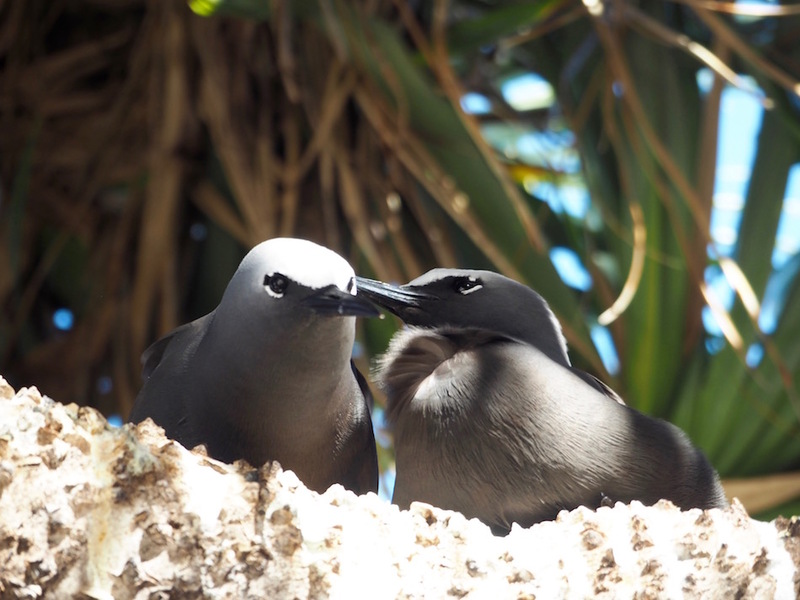 A couple of Black Noddy Terns. The birds are pretty loud and seem to get even louder in the evening; so if you are a light sleeper remember your ear plugs! One thing to get used to on the island is the bird poo. After day two, we stopped counting how many times we got pooped on! But hey, that was all part of the fun! Bring an umbrella if you want to be protected! The water surrounding the island is of a stunning turquoise colour and is incredibly clear; so clear that it was so easy to spot eagle rays and reef sharks from the catamaran before we even set foot on the island. 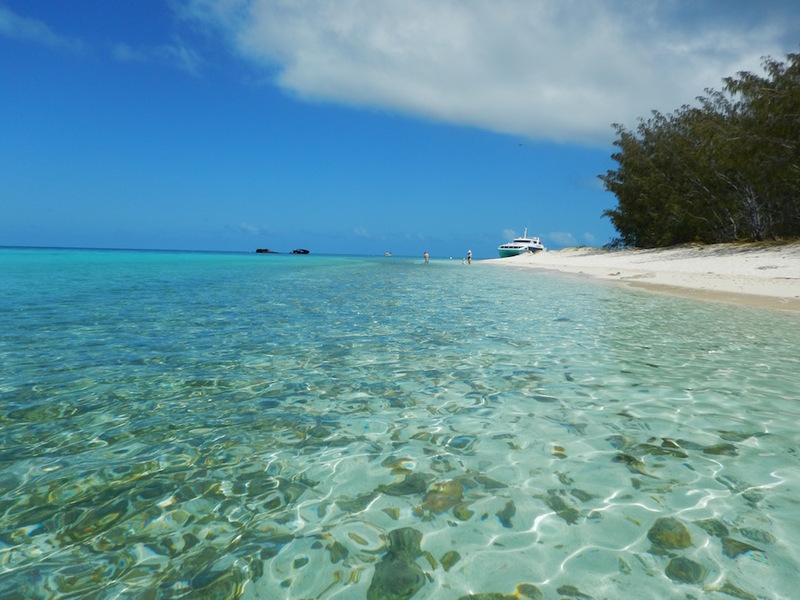 Heron Island was pretty much what I’d expect paradise to be like with its beautiful white sandy beaches and that crystal clear water. The water is so inviting that you may want to spend more time in it than out. We did! Dead tree trunk on the beach. There are no coconut or palm trees on the island. Instead a rich forest of Pisonia Grandis dominates the centre and south parts of it. A walk through the forest is a must during bird nesting season as the forest comes alive with birds flying in all directions. We were told at check in that sunrise on the island was worth getting up for. Staff explained that it was one of the best time to see turtles. 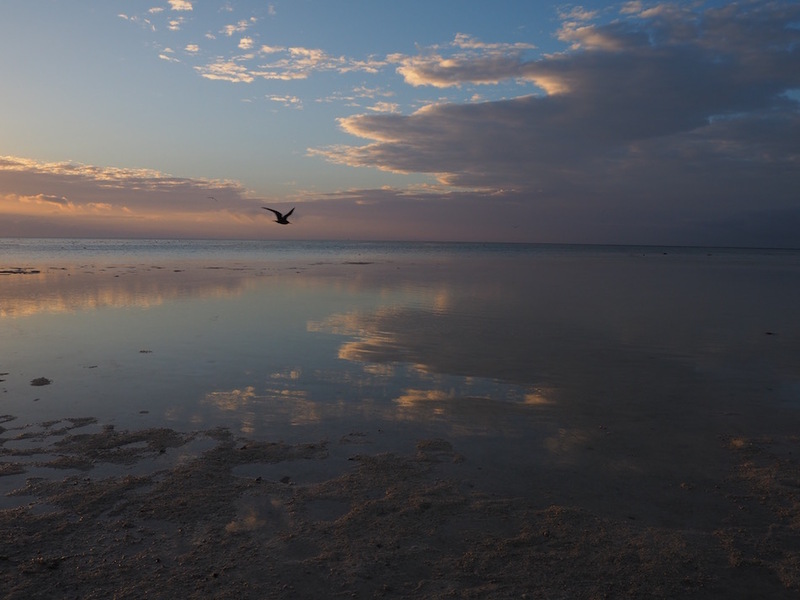 So getting up for sunrise became a ritual for me while on Heron Island. I am not a morning person but I enjoyed the quietness of the beach and the beautiful sky every morning. There were great photo opportunities and of course I saw many turtles at that time. Sunrise on the island was always beautiful but watching turtles plodding slowly from the upper parts of the beach down to the ocean was the best. We did feel sorry for them having to drag such huge shells with them though as you could see it was a huge effort. It was such a great experience to be able to see them in their natural environment. 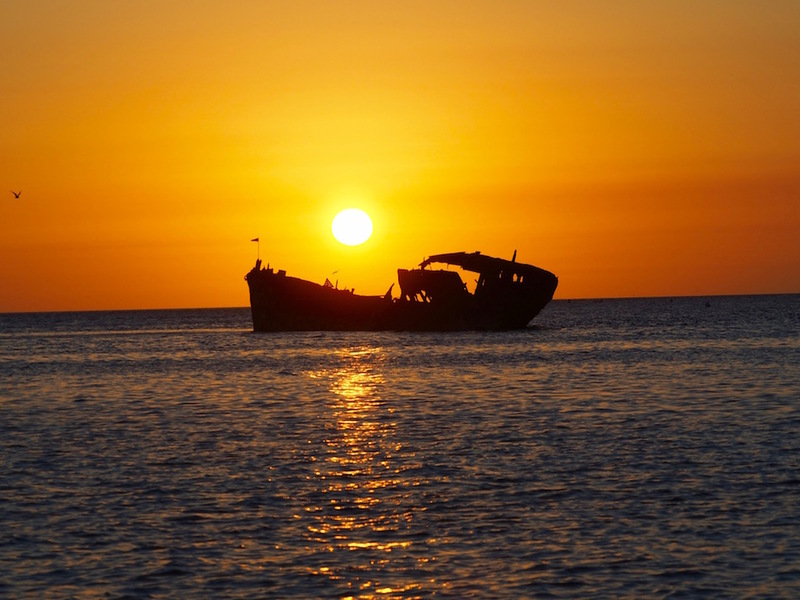 And of course every night we made sure to catch the sun setting on the shipwreck. This was spectacular! 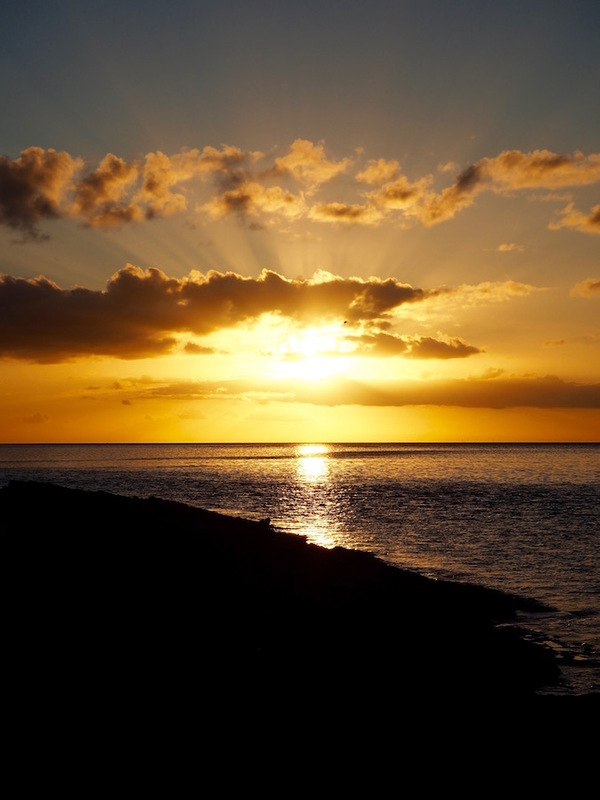 Three times a week the resort organises a sunset cruise. We joined the cruise on our last night where they served us sparkling wine and a delicious cheese platter as we enjoyed the sun setting over the sea. A couple of turtles even popped their heads out the water to say hi! What a great way to end our trip. Beautiful sunset over the shipwreck. 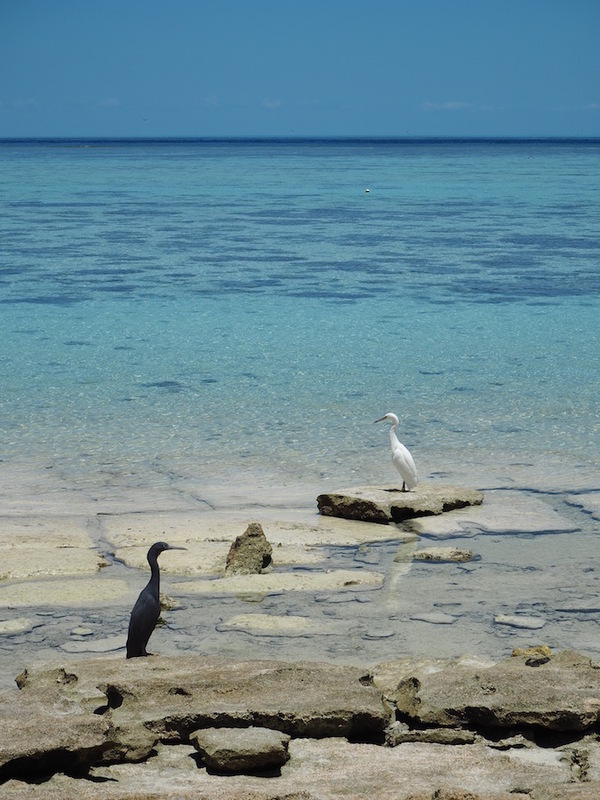 How to get to Heron Island? 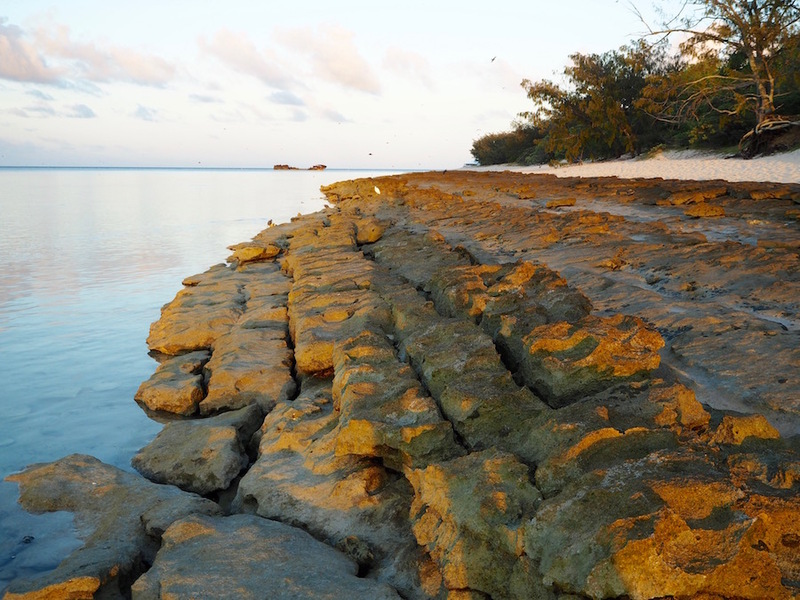 To get to Heron Island, first, make your way to Gladstone which depending on where you are might be by plane or by land. Once in Gladstone, you have two options. The cheapest option is to take a catamaran transfer to the island. The catamaran costs AU$62 per person and leaves from the Gladstone Marina. Transfer from the airport to the Marina is included in the cost. The catamaran leaves only once a day at 2pm so make sure you time your arrival into Gladstone accordingly. The journey is approximately two and a half hours depending on the sea conditions. Approaching the island by catamaran. Posing in front of our seaplane! Your second option is to take a seaplane. Of course, this is a much more expensive option costing AU$338 per person one way. The seaplane only flies at high tide so depending on your arrival time into Gladstone you may or may not be able to use this option. 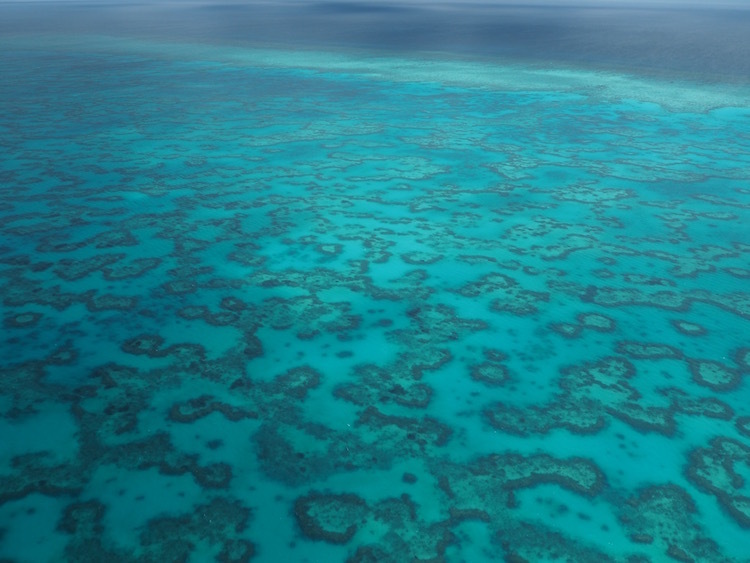 The plane takes just twenty-five minutes and offers amazing views over the Great Barrier Reef along the way. View over the reef from the seaplane. 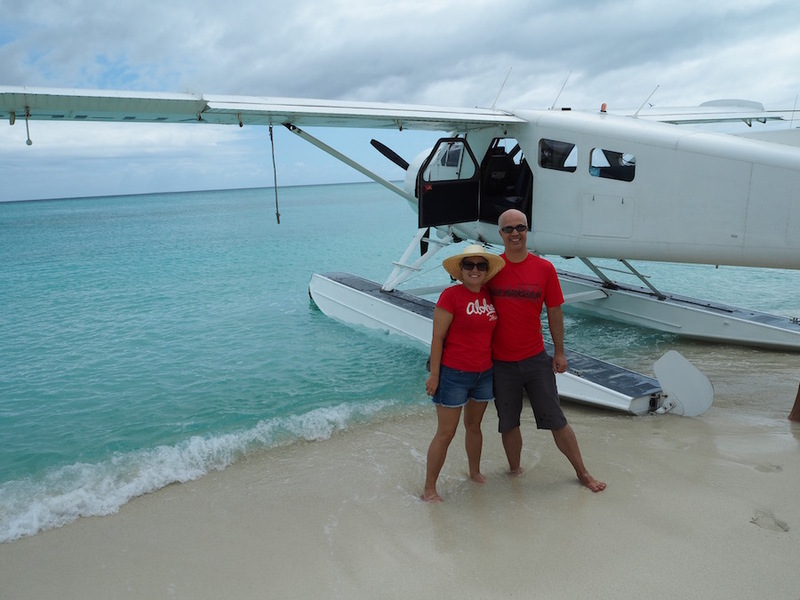 We took the catamaran on the way to the island and the seaplane on the way back. All I can say is that I’m glad I didn’t have to take the boat back as the journey over wasn’t a great experience for me. I suffer from sea sickness so I will just leave it at that! The seaplane, on the other hand, was awesome. The view of the Barrier Reef from the plane was breathtaking. While it is an expensive option it was definitely worth it. View over a neighbouring island from the seaplane. 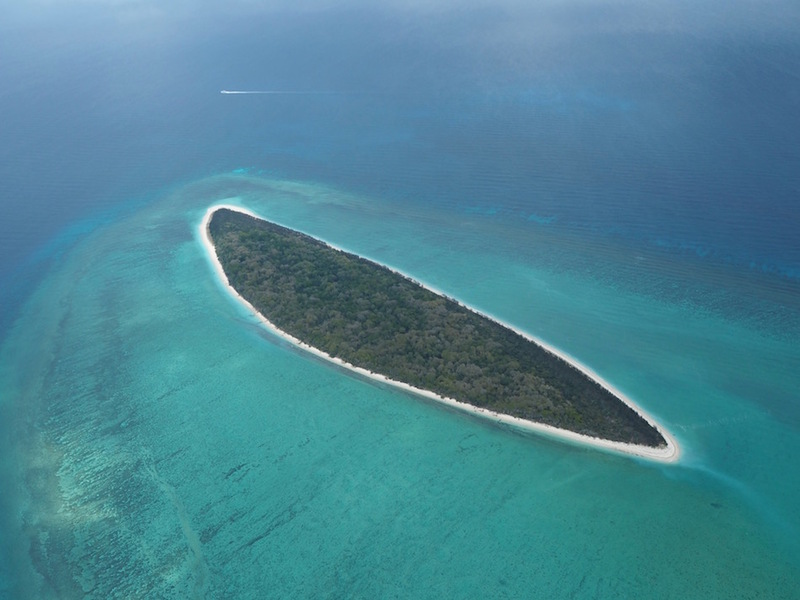 The only accommodation on Heron Island is the Heron Island Resort. It offers various types of rooms, from the cheaper Turtle room which is set in the forest, to the much more expensive and secluded Point Suites offering a great view out over the water, especially at sunset. The resort has a restaurant which is open for breakfast, lunch and dinner, along with a bar. It also offers a Spa if you fancy a relaxing massage after a day of snorkelling. With no TV, no mobile service, and Wifi that doesn’t seem to work most of the time, you will have plenty of time to sit back and enjoy nature without the distractions of city life! 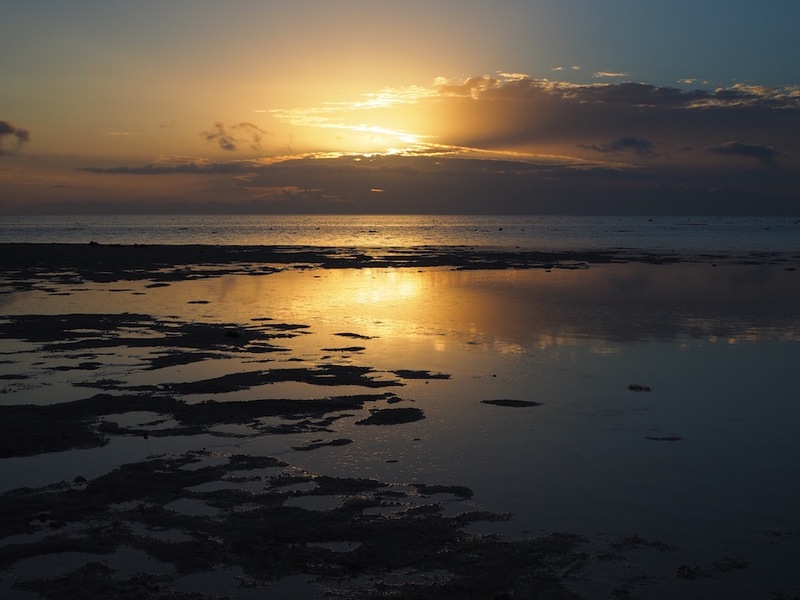 It’s a brand new day on Heron Island! After four days in paradise, we were really sad to head home. We would miss all of the great snorkelling, the perfect Queensland weather, the turtles and even those crazy birds! So, for now, we had to say goodbye but we’ll be back for sure. Next time we’ll visit during turtle hatching season so we can check out the baby turtles! If you are looking for the ultimate tropical escape, look no further. 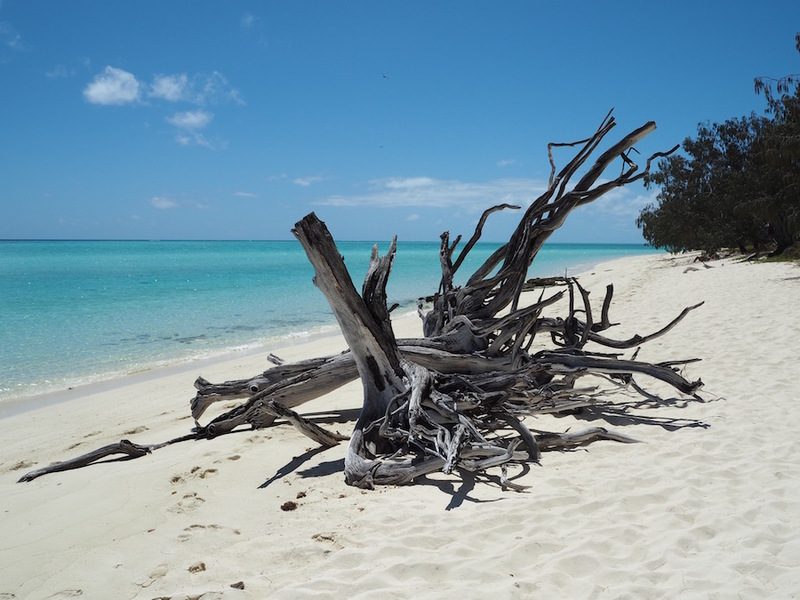 Heron Island is a small piece of heaven and you won’t be disappointed.